BIROBIDZHAN, Russia—When Rabbi Eli Riss flies from Moscow to his home near the Russia-China border, he carries three full suitcases. One contains clothes, the others kosher steaks and cheese. Rabbi Riss presides over a community of roughly 3,000 in the Jewish Autonomous Region in Russia’s Far East, which Soviet authorities carved out in a remote corner of Siberia in the 1920s. Here, Yiddish still enjoys official status and graces government buildings, outdoor signs and some street names. 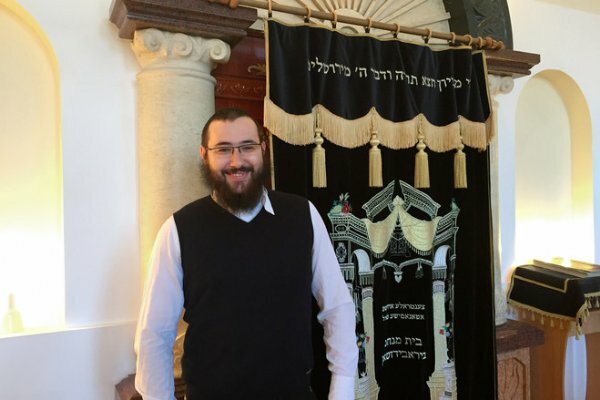 There is no open anti-Semitism in the region, said the 26-year-old rabbi in his white-walled synagogue in the capital, Birobidzhan, about 5,000 miles east of Moscow. At night, traditional Jewish Klezmer music plays from the city’s loudspeakers. Especially kosher meat and dairy products. So Rabbi Riss, a Birobidzhan native who grew up in Moscow and Israel, has embarked on a mission to ship in kosher food by rail and help start a kosher shop for his tiny region, where he returned as chief rabbi in 2012. In the 1940s, about 30,000 Jews lived in the region, with settlers from as far as the U.S. and Argentina. Then they fell out of favor with Joseph Stalin, who came to distrust Soviet Jewry after the 1948 establishment of Israel, fearing they would stray politically. Hundreds of thousands of Jews emigrated from the Soviet Union. Birobidzhan has kept a nominally Jewish identity. It applied for a permit for a kosher meat shop in 1948, said local historian Iosif Brener, but the all-powerful Moscow central government rejected it. The majority of Birobidzhan’s Jews grew to not observe most kosher rules, such as the separation of meat and dairy. Obtaining local vegetables and fish was less burdensome, as dietary laws generally consider them “pareve,” or neutral. Rabbi Riss, who peppers his speech with humor (“Even the local drunkards greet me with ‘Shalom’ ”), aims to encourage local Jews to embrace kosher practices as he does. His suitcases of food are for himself and his family. He wants his flock, too, to be able to eat kosher easily. His synagogue is waiting to hear if its application to local authorities for a kosher food shop is successful. The Chabad-Lubavitch movement, to which Rabbi Riss belongs, is financing the shop’s construction. “Despite being Jewish all these years, it looks like the region will finally become kosher,” said Svetlana Sudina, head of architecture and construction for the municipal authorities and who, as with most of Birobidzhan’s population, isn’t Jewish. Her office will soon make its decision on the shop. Keeping kosher means adhering to strict dietary rules and complex ritual slaughter practices. While Rabbi Riss is able to butcher some locally reared chickens, kosher rules for red meat are more onerous and labor-intensive, including ancient methods for fat and nerve removal. That requires a “schochet,” or trained kosher slaughterer. Under the rabbi’s plan, frozen kosher goods such as beefsteaks and sour cream will travel in bulk to Birobidzhan from Moscow on the Trans-Siberian Railway. From the meat factory, it will take 21 days for the kosher food to reach Birobidzhan’s train station, which features Hebrew letters and a large menorah fountain out front. “We’ll have to make sure it doesn’t sit next to any pork along the way,” Rabbi Riss said, referring to the non-kosher favorite of Russian cuisine. The food will be thickly wrapped, making contact with pork impossible. He has enlisted local Jewish businesswoman Elena Kuzmenko to help establish a kosher eatery in addition to her non-kosher Jewish-styled restaurant, Simkha, which serves a variety of homemade gefilte fish between mock Jerusalem facades. Rabbi Riss’s kosher quest owes partly to the logistical complexity of moving goods across the world’s largest country by geographical landmass. Foreign and local investors often cite the frustrations of moving goods from Point A to Point B. Those challenges may lessen with new train routes connecting China with Europe through Russia. A Chinese consortium plans to build a bullet train between Moscow and the city of Kazan to its east, and there have been talks on linking China with the Russian Arctic by rail. Russia’s first-ever railway bridge to China is planned from the Jewish Autonomous Region across the Amur River. (Despite the name, the region is under Russian rule.) China completed its side in 2014. Russian officials say their part will be ready in 2018 at the earliest. Beijing’s influence is evident in Birobidzhan, where Chinese-language signs compete with Yiddish. Though kosher meat can be found in the Chinese capital, Rabbi Riss prefers ordering from Moscow as part of restoring the region’s historical Jewishness within Russia.